Judaism is a religion of commandments – 613, to be exact – which every adult is commanded to observe. That leaves a big open question: At what age is a person considered an adult? The Talmud tells us that it is when they are physically mature enough to procreate. In the tractate Kiddushin (page 16b), we are told that boys reach the “age of responsibility” at 13, and girls at 12. Biologically speaking, that is somewhat arbitrary – children reach puberty at different ages. In fact, some rabbis will say that a younger child who shows signs of puberty can already be considered a bar or bat mitzvah. For hundreds of years, the bar mitzvah “ceremony” was exceedingly low key. The boy was called up to the Torah on the first possible day after his 13th birthday, and would recite the blessings before and after the reading aloud of a few verses. His father would then make a formal statement of the handover of responsibility: “Blessed is the One who has released me from punishment because of him.” End of story. The boy became a full-fledged member of the tribe, with the rights and obligations accruing from that status. 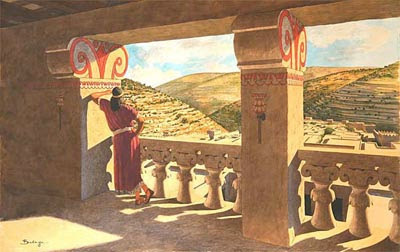 Over time, some rabbis ruled that it wasn’t sufficient to recite a couple of blessings, that the bar mitzvah should also read aloud his section of the Torah, or alternatively, give a Dvar Torah (a lesson on the weekly portion that he would have painstakingly prepared), demonstrating that he had studied the laws and had an adult grasp of their meaning. The man who is perhaps most to blame for the trend, which in some circles can send parents to their bank to for a second mortgage, is a 16th-century rabbi from Lublin, Poland, named Solomon Luria – better known by his acronym, Maharshal. He ruled that a festive meal should be held to mark the occasion of a boy reaching the age at which the commandments become compulsory. Women, meanwhile, would have to wait until the early 20th century to get Jewish education, civil rights, suffrage — and their own fountain pens. One would have thought that the liberal Reform Judaism movement would have been at the forefront of the trend, but its founding fathers believed that a child of 12 or 13 was too immature to be considered an adult. For more than a century, the movement sought to replace the one-off bar mitzvah ritual at 12 or 13 with an extended period of study that culminated in “Confirmation” at 15 or 16. By the 1970s Reform realized it was missing out on the big new trend, and reintroduced the idea of bar and bat mitzvahs. By then, all of the non-Orthodox movements were on the same page, with full equality for boys and girls. The first recorded bat mitzvah was that of Judith Kaplan, daughter of the founder of Reconstructionist Judaism, in 1922. Unlike Reform, Mordechai Kaplan’s movement was more anchored in the tradition. Like Reform, it was strongly egalitarian. And so it was that Judith read the Torah portion verses from a printed Pentateuch that Saturday morning – albeit after the men had already read the same portion from the Torah scroll. Still, it was a start. Before long, the Conservative Judaism movement became the strongest mainstream proponent of bat mitzvahs. At the start, bat mitzvahs were celebrated at Friday night services. The girl would often read the Haftarah portion from the Bible; meanwhile, the bar mitzvah boys were inducted into the adult world at the Sabbath day services, where they read the Torah portion. Not exactly egalitarian. And whither Orthodoxy? One would guess that the hidebound movement would take centuries or even millennia to adapt to changes in modern society. Not so. Modern Orthodox Jewish girls, whose mothers never would have had a bat mitzvah only one generation ago, are now marking their coming of age by reading the Torah at synagogue in women-only services (admittedly, this is still the exception and not the rule) or by giving a Dvar Torah based on their portion. In Haredi (ultra-Orthodox) circles, the current practice is to gather for a women-only party at which the bat mitzvah gives a Dvar Torah. This new (and still-evolving) trend is perhaps an outgrowth not of any need to keep pace with the other movements of Judaism, but of the early 20th century advent of the Bais Yaakov school system, in which Haredi girls were for the first time encouraged to gain Jewish literacy and empowerment. Conversely, the late Chief Rabbi of Israel Ovadia Yosef – the most respected Sephardi rabbi of the past 50 years – argued that girls had as much a right as boys to have a party in honor of their having attained adulthood, and that fathers ought to recite the same formulaic “Blessed is the One who has released me from punishment because of her” as they would for a son. Many Israelis do not identify as religious Jews, and do not belong to a synagogue. Sometimes they have their child’s bar or bat mitzvah at the grandfather’s synagogue, particularly on a weekday, when there is much less attention focused on them and their child. Many schools and community centers around the country offer bar and bat mitzvah classes that culminate in group ceremonies. Or the parents may charter a bus and bring family and friends to Jerusalem for the day, beginning with the young man being led to the Western Wall in a procession that looks like a wedding for one. There he will be called up to the Torah. Of course, all of these options are a pallid prelude to the party held at a banquet hall, complete with four-course meal, hundreds of invited guests, video and still cameramen and deejay. To many community leaders and parents, the notion of throwing an over-the-top bash for a 12- or 13-year-old child who hasn’t exactly discovered a cure for cancer sends all the wrong messages. What’s more, it can be said that in many cases, the bar or bat mitzvah in fact marks the child’s exit from organized Judaism rather than his or her entry. Can this coming-of-age transition be made relevant? In the past few years, there has been a growing trend of bar and bat mitzvahs donating a portion of the gifts they receive to charity or volunteering their time. The genuine act of selflessness demonstrates they are indeed ready to join the community. Another solution devised by some families is holding the event in Israel to cultivate Jewish identity and immersion in the modern Jewish and Israeli experience. And if the guest list is limited to grandparents, parents, siblings and a few aunts, uncles and cousins, then the cost can be well under $10 million. * The joke refers, of course, to a line that would presumably begin the boy’s speech: “Today I am a man.” The joke on the joke is that the punch line now has to be explained to anyone below age 60, since fountain pens long ago ceased to be the bar mitzvah gift of choice. Even if you’re getting a real artifact from Israelite history, chances are it’s not kosher. 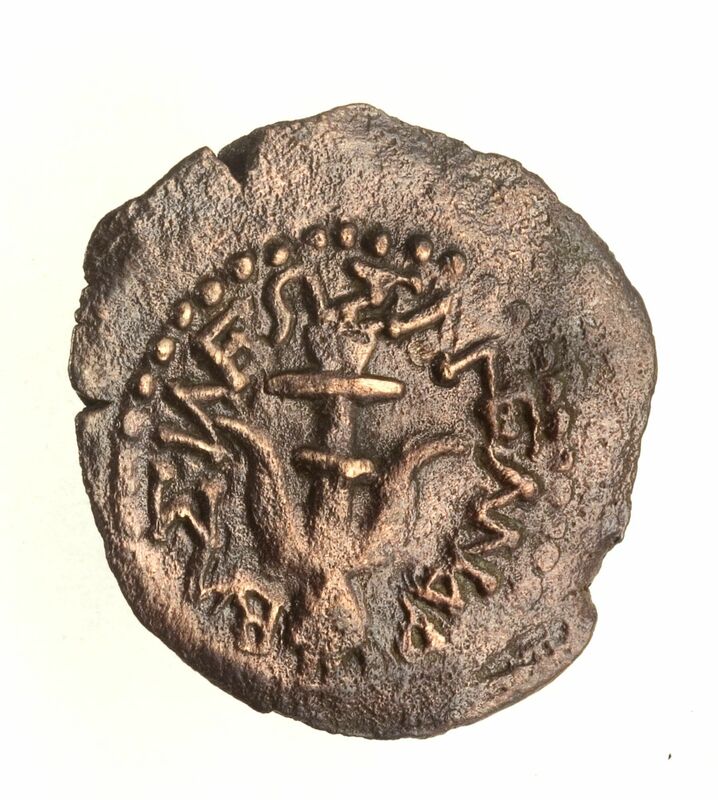 If an artifact is being sold openly in Israel, it must conform with the restrictions imposed by the Antiquities Law of 1978, which forbids the sale of any manmade item from before 1700 CE. However, there was a grandfather clause in the law that permitted the sale of items already in the inventory of the antiquities shops. And there are dozens of authorized antiquities shops, many in the Old City of Jerusalem, and in upscale hotels. All offer a certificate of authenticity with each sale. The upshot is that the salesman may show you a perfectly genuine Hellenistic oil lamp – that he swears has been sitting on the shelf of his shop since Menachem Begin entered office. “What can I do? Sales have been slow.” [Wink, wink.] This means, of course, that the lamp was almost certainly robbed from a bona fide site. Israel is blessed with thousands of archaeological sites and many are virtually unguarded. Just this December the police arrested six men from the village of Seir, near Hebron, for robbing a cave high above the Tze’elim stream in the Judean Desert. The unique artifacts they found included a 2,000-year-old lice comb that most probably belonged to a Judean seeking refuge in the desert during one of the revolts against Rome. Yet the arrest was the exception to the rule. Most of the thievery goes undetected, and the loot makes its way into the antiquities market. Consider, for instance, the Heliodorus stele, which according to media reports was purchased in 2007 by New York financier Michael Steinhardt. The magnificent 2nd century BCE inscription in Greek, which was “of unknown provenance,” included a letter from Seleucus IV to an aide named Heliodorus. But to the frustration of scholars, the bottom of the stele was missing, leaving a gap in the historical tale. No one was saying where the stele was found. Subsequently, it was realized that three inscribed fragments unearthed in 2005 and 2006 in a cave at Tel Maresha in Israel were in fact the missing pieces of the Heliodorus stele. Tel Maresha head archaeologist Ian Stern distinctly remembers arriving at the site one Sunday morning in 2005 to find that the cave had been “turned upside down”; possibly it was that weekend that the Heliodorus stele was discovered and robbed. An artifact of “unknown provenance” can be sold; one from Tel Maresha or any other specific place will go to a museum collection or basement. Which brings us back to the original question: Is that Persian period juglet in the store window genuine? The shopkeeper will say yes. And most likely, it is. There’s such an abundance of genuine material available that it makes no sense to start making counterfeit pots and vessels. Ah, but was it robbed as part of an illegal excavation? This is a far tougher question, one that if asked is liable to have you thrown out of the store. “Don’t ask, don’t tell” is the byword of this business. Coins are different. They are more likely to be counterfeit, several Old City antiquities dealers admitted to this reporter. Archaeologists concur. While the Antiquities Law permits the sale of some the full gamut of artifacts, it forbids the export of some, including columns and ossuaries (stone boxes for secondary burial of bones). A beautifully carved and ornamented Second Temple-era 2nd temple ossuary can be acquired for as little as $1,500, but cannot leave the country. Perhaps you are wondering about crossing into Palestinian Authority-controlled areas, tjhinking there might be fewer restrictions. But it isn’t so. The Palestinian Authority strictly enforces a tough antiquities law of its own. As for the Israeli law – given the improbability of antiquities shops sitting on inventories for decades, one might ask how such a dubious enterprise is allowed to continue. One answer is that by permitting the sale of items of “unknown provenance,” even the academic world benefits, such as in the case of the Heliodorus stele. If the inscription had been sold on the black market, it would have never been displayed in public. 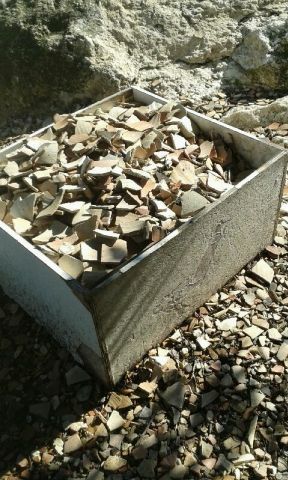 An alternative to acquiring antiquities in the somewhat unsavory retail marketplace is to burrow through the stockpile of less-significant shards at an actual dig site. For instance, at Israel’s most popular hands-on archaeology-for-a-day program, “Dig for a Day” at Tel Maresha, the staff scrubs, examines and catalogs all of the shards found by the volunteers, and then offers the diggers a chance to take home the discards, which consist mainly of shards that lack identifying features. For the archaeologist, the piece may be no more than a discard. But when the tourist sees it on her coffee table back home, it conjures up the memory of that day when she felt such a strong physical connection to an ancient culture, that is still very much alive. The author is a licensed tour guide in Israel. Who would have thought that this lackluster, nearly bone-dry winter could be salvaged? And yet it has. In the past three days (March 12-14), we’ve racked up some respectable precipitation. In the case of Jerusalem, we are now at over 75% of our annual rainfall. Hurrah! This is more than we saw all of January and February. Of course, there will be the usually litany of rants and complaints: too little too late, the hail destroyed vulnerable crops in the field; most of the water flowed into the sea. Yeah, yeah. I know what you’re saying: no way he took this picture himself. Okay, you got me. This week, Rena and I took a day off and went to see the wildflowers. The lupins at Givat Haturmusim were out of control. The red carpets of anemones along the southern bank of Nahal Bsor were a luxuriant shag rug of vermilion blooms. And that was with the driest winter in 50 years. Now nature’s got another 5-6 inches of rain to fool around with. God only knows what she’ll come up with. I can’t wait.